Thank you to all our guests and speakers for making it a very memorable evening as we commemorated Hrant Dink on the 12 th Year . 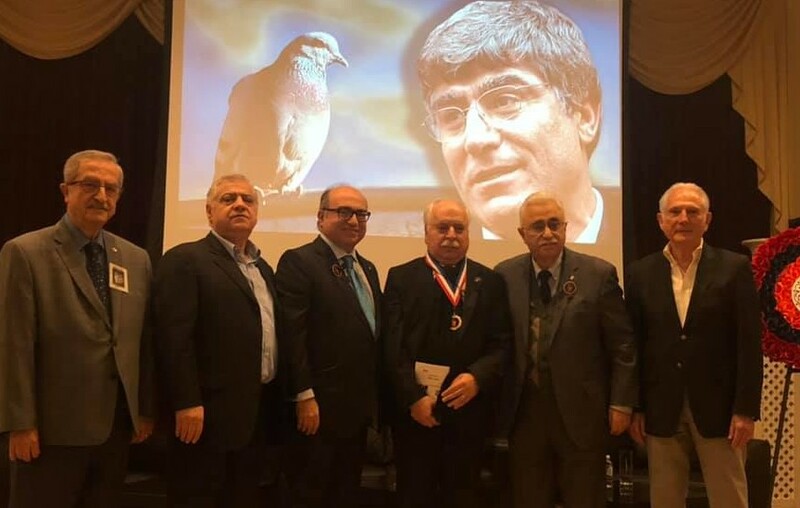 It was an honor to present the Dink medal to Zakarya Mıldanoğlu and listen to his very informative and well researched presentation .Thank you Hayko Bagdat for joining us and sharing your unique perspectives and experiences. Garo Ghazarian , as awesome , inspirational and fierce as each and every year . Was a great honor to welcome and hear from Our Congressman Brad Sherman . Many many more to thank but not enough space . It is our solemn duty to walk in the path of and follow the light of Hrant Dink ! !